In pursuance of the provisions of the Local Government Act, 1993 and the Regulations thereunder, notice is hereby given that an ORDINARY MEETING of Penrith City Council is to be held in the Council Chambers, Civic Centre, 601 High Street, Penrith on Monday 1 May 2006 at 7:00PM. Councillor Mark Davies - 12 April 2006 to 9 May 2006 inclusive. Ordinary Meeting - 3 April 2006. Local Traffic Committee - 3 April 2006. 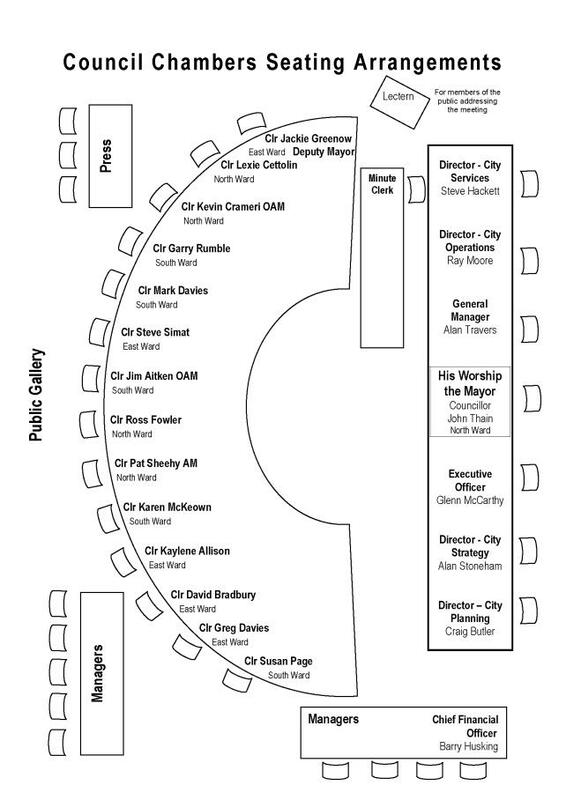 His Worship the Mayor Councillor John Thain, Councillors Kaylene Allison, David Bradbury, Lexie Cettolin, Kevin Crameri OAM, Greg Davies, Mark Davies, Ross Fowler, Jackie Greenow, Karen McKeown, Susan Page, Garry Rumble, and Pat Sheehy AM. Leave of Absence was previously granted to Councillor Aitken for the period 3 April 2006 to 6 April 2006 inclusive. 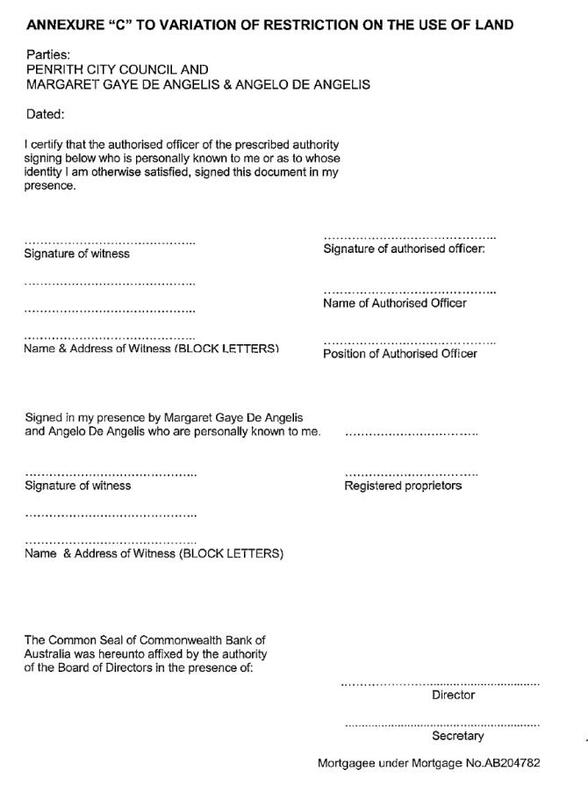 Leave of Absence was previously granted to Councillor Simat for the period 3 April 2006 to 6 April 2006 inclusive. 726 RESOLVED on the MOTION of Councillor Pat Sheehy seconded Councillor Ross Fowler that the minutes of the Ordinary Meeting of 6 March 2006 be confirmed. Councillor Susan Page declared a non-pecuniary interest in Item 18, as she is the City Vice President of the Australian Local Government Women’s Association and reserved her right to speak and vote. Councillor Susan Page declared a non-pecuniary interest in Item 19, as she is a Director of WSROC and reserved her right to speak and vote. Councillor Karen McKeown declared a non-pecuniary interest in Item 3, as her partner is a Director of the Penrith Gaels Club and reserved her right to speak and vote. Councillor Karen McKeown declared a non-pecuniary interest in Item 18, as she is a member of the Publicity Committee of the Australian Local Government Women’s Association and reserved her right to speak and vote. Councillor Kevin Crameri declared a pecuniary interest in Item 7, as he is the Chairman and Public Officer of the Llandilo Hall Committee and guarantor of the loan and took no part in the debate or voting. Councillor Ross Fowler declared a non-pecuniary interest in Item 3, as he is the auditor of the Penrith Gaels Club and reserved his right to speak and vote. 727 RESOLVED on the MOTION of Councillor Jackie Greenow seconded Councillor Pat Sheehy that Standing Orders be suspended to allow members of the public to address the meeting, the time being 7:08pm. Mr Laybutt from Whelans Planning is acting on behalf of a number of adjoining land owners to the subject site at Lot 1 DP 542395 and Lot 740 DP 810111, Elizabeth Drive, Luddenham. Mr Laybutt stated that the owners of the adjoining properties have sought expert valuation advice as to the likely impact of ‘spot rezoning’ and the Waste Treatment Facility on their current property values, should it be approved by Council. The results of this advice stated that should the properties retain their current ‘rural zoning’, it is understood that property values would decline by 35%. Mr Laybutt stated that the recently released Metropolitan Strategy for the Sydney Region, City of Cities, identifies land adjoining Elizabeth Drive as suitable for longer term industrial use. He also stated that it is Whelans’ understanding that Council is currently reviewing future land use opportunities within the Penrith Rural zone, with a view to updating the Penrith Environmental Plan No. 201. Mr Laybutt continued, stating that it is most relevant to note that the precinct surrounding the proposed facility at Badgery’s Creek is contiguous with the identified major industrial precinct to the South of Elizabeth Drive. This precinct also holds significant potential to support industries associated with the processing of recycled materials that would be produced by the proposed facility. Mr Laybutt requested, on behalf of landowners adjoining the proposed SITA facility at Elizabeth Drive, that Council initiate a detailed investigation of this precinct, with a view to establishing a future industrial zone as foreshadowed by the current Metropolitan Strategy. Mr Laybutt also stated that it is Whelans’ understanding that Council is preparing an updated plan to guide future land use across the City generally, and would be appreciative if this initiative could be placed on Council’s agenda to be addressed within the context of this current planning process. Mr Damjanovic stated that he is a land owner adjacent to the subject site at Lot 1 DP 542395 and Lot 740 DP 810111, Elizabeth Drive, Luddenham. Mr Damjanovic expressed his concern that having a Waste Treatment Facility located across the road from his property would depreciate the value of his property as a rural parcel, which he purchased approximately 3 years ago. Mr Damjanovic requested that in view of the proposed industrial lands to the south of his property, which are part of the South West growth centre, and the possible industrial type development to the North of his property being the Waste Treatment Facility, that consideration be given to rezoning all the land between Elizabeth Drive, South Creek and Badgerys Creek to Industrial Land. Mr Damjanovic stated that if this is not possible, and his land is left zoned as Rural 1a, he strongly protests the development of the Waste Treatment Facility, as it would adversely affect the value of his land. Mr McRae is a valuer that has been valuing lands in Western Sydney for 40 years, and spoke as an interested citizen. Mr McRae outlined concerns for residents of areas that overlook industrial zones. At present, the only land scheduled for Industrial Zoning is located near Old Walgrove Road, which isn’t in the Penrith Local Government Area, however, the Capitol Hill residential estate overlooks this area, which would provide them with a displeasing visual impact. Mr McRae also stated that it is unknown how SITA will dispose of their sewerage. They may need to build a Sewerage Treatment Plant, which Mr McRae suggested could be extended to service the adjoining properties. 728 RESOLVED on the MOTION of Councillor Jackie Greenow seconded Councillor Garry Rumble that Standing Orders be resumed, the time being 7:25pm. 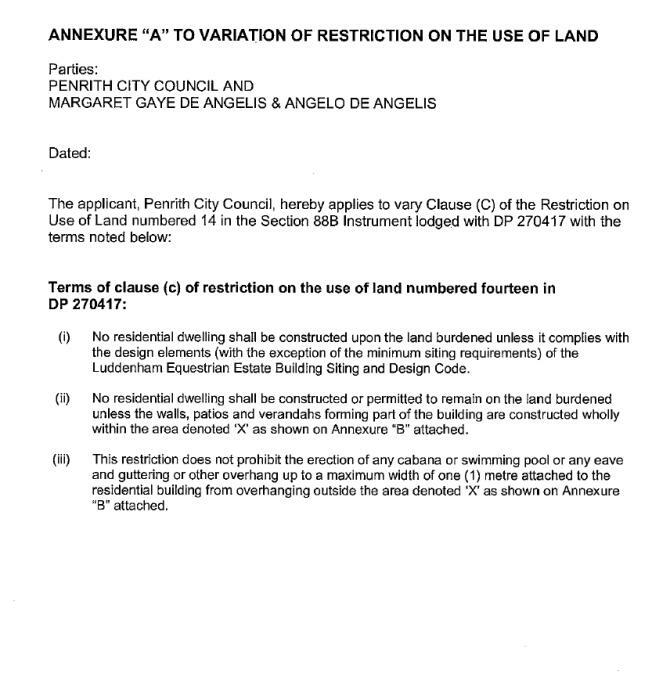 That the motion carried at the Ordinary Meeting of Council held on 6 March 2006 in relation to Item 4 – Status of New Release Areas in Penrith be, and is hereby, rescinded. 729 A MOTION was moved by Councillor Ross Fowler seconded Councillor Mark Davies that the rescission motion be deferred until the next Ordinary Meeting of Council. On being put to the meeting the MOTION was LOST. 730 A MOTION was moved by Councillor Pat Sheehy seconded Councillor Greg Davies that the motion carried at the Ordinary Meeting of Council held on 6 March 2006 in relation to Item 4 – Status of New Release Areas in Penrith be, and is hereby, rescinded. 731 RESOLVED on the MOTION of Councillor Jackie Greenow seconded Councillor Susan Page that the recommendations contained in the Report and Recommendation of the Disability Access Committee of 1 February 2006 be adopted. 732 RESOLVED on the MOTION of Councillor Karen McKeown seconded Councillor Pat Sheehy that the recommendations contained in the Report and Recommendation of the Local Traffic Committee of 6 March 2006 be adopted. 733 RESOLVED on the MOTION of Councillor Kevin Crameri seconded Councillor Susan Page that the recommendations contained in the Report and Recommendation of the Policy Review Committee of 20 March 2006 be adopted. Having previously declared a pecuniary interest in Item 7, Councillor Kevin Crameri left the meeting, the time being 7:45 PM. 1. The information contained in the report on St Davids Church Llandilo be received. 2. Council agree that the loan be extended for a further twelve months, to 5 November 2006. 3. That interest be calculated, using the 90 day bank bill swap rate, on the amount outstanding on the last day of the quarter in arrears. 4. The Llandilo Hall Committee Inc be advised of Council’s decision and that they be requested to arrange early payment to Council of the funds already held for the purchase of the former Church building. Councillor Kevin Crameri returned to the meeting, the time being 7:46PM. 2. Council approve the allocation of $600 to the Warehouse Youth Health Centre to contribute towards the cost of a residential camp for Sudanese young people. 3. Council approve the allocation $1,000.00 to the Penrith Gaels Club to auspice an Aboriginal dance performance at the community function to welcome the Irish Consul General to Penrith City. 2. $50,000 be allocated from the Cemetery Improvements Reserve for the relocation of the Visitor Information Centre building to Penrith General Cemetery, refurbishment of the building, and associated works. 2. The $80,000 allocation for North Ward Allocation from the Open Space Development Contributions Plan for the development of pathways within parks be used to replace the existing timber footbridge in Werrington Creek Park and construct concrete pathways linking the bridge to Victoria Street and Herbert Street. 5. Financial contribution of $23,568 to support the operations of the Mountains to Meadows Pre-School be considered as part of the 2006-2007 budget development process. 6. Options in relation to Centre-Based care in those areas in close proximity to Claremont Meadows that form part of the Werrington Enterprise Living and Learning (WELL) Precinct be considered in future planning discussions in relation to the WELL Precinct. 4. The Director of the Penrith Conservatorium of Music and President of the Foundation for Creative Enterprise, be advised of Council’s decision. 2. A further report be brought to Council outlining the historical and future financial position of the Joan Sutherland Performing Arts Centre and the funds that have been, and are budgeted to be, allocated to the Centre by Council. 2. Council agree to provide the Joan Sutherland Performing Arts Centre an additional $200,000, such funds being set aside in 2005/06 budget. On being PUT to the meeting the AMENDMENT was CARRIED and on becoming the MOTION was also CARRIED. Councillor Mark Davies left the meeting, the time being 8:05PM. 1. The information contained in the report on 7th International Cities, Town Centres and Communities Conference 2006 be received. 2. Councillor Garry Rumble be Council’s representative at the Conference from 6 – 9 June 2006 and be granted leave of absence for that period. Councillor Mark Davies returned to the meeting, the time being 8:07PM. 2. A further report be brought to Council addressing in more detail the concerns raised in the objections to the matter. 4. The owner, applicant and those persons who lodged a submission be advised of Council’s decision. 743 RESOLVED on the MOTION of Councillor Greg Davies seconded Councillor Ross Fowler that the information contained in the report on Benefits of Partnership Between Penrith City and Lachlan Shire be received. 1. The information contained in the report on Commonwealth grant under the Regulation Reduction Incentive Fund Program be received. 2. A letter of thanks be forwarded to the Hon. Fran Bailey MP, Minister for Small Business and Tourism. 3. Council’s 50% matching funding for the road safety audit (Stage 5 - Existing Roads) project and the additional $7,000 (total $17,000) be allocated from the 2005/2006 Traffic and Transport Facilities Program. Councillor Greg Davies left the meeting, the time being 8:25 PM. 2. The Waste and Community Protection Manager be authorised to make an application to the NSW SES for funding of $45,000 to provide enhanced amenities for SES Volunteers. 2. The Certificate of the Responsible Accounting Officer, Statement of General Fund Bank Balances as at 28 February 2006 and the summary of Investments for the period 1 February 2006 to 28 February 2006 be noted and accepted. 3. The graphical investment analysis as at 28 February 2006 be noted. 6. 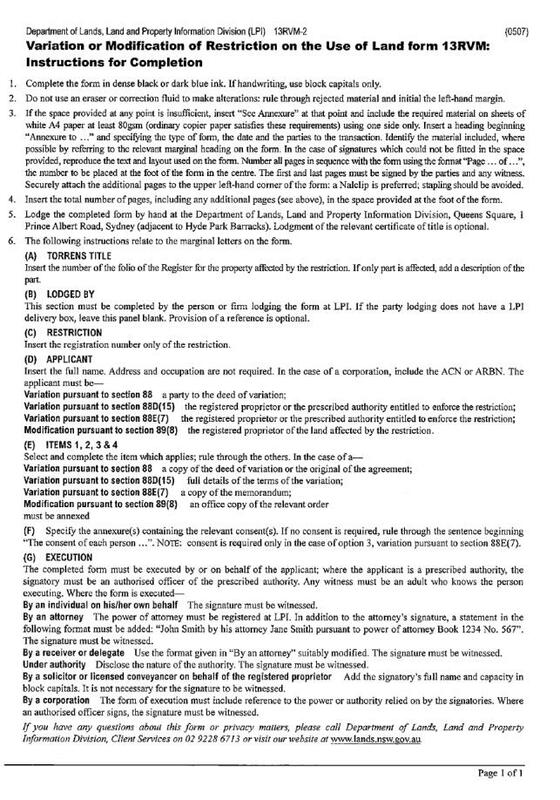 The final terms and conditions of the borrowings be reported to Council upon completion of the contracts. 2. Complete Office Supplies be awarded a Supply Agreement for the provision of Stationery Products on an as required basis for an initial period of 3 years with an option to extend the agreement for a further 2x1 year periods subject to satisfactory performance. 2. Penrith City Council submit a response to the Chair of the Committee on the Office of the Valuer General supporting a continuation of the current valuation processes. 2. The Independent Inquiry be advised that Council supports the Inquiry’s tentative conclusions as indicated in the report and that detailed comments, as attached to this report, be forwarded to the inquiry. 3. A program of communication with the community, City partners and Government be undertaken for this purpose. 4. The Board of the City of Penrith Regional Aquatic and Recreation Centre Ltd be advised of Council’s decision. Councillor Greg Davies returned to the meeting, the time being 8:30 PM. 754 RESOLVED on the MOTION of Councillor Ross Fowler seconded Councillor Kevin Crameri that the information contained in the report on Agency Payment Methods be received. 2. Councillors Jackie Greenow, Susan Page, Karen McKeown, Kaylene Allison and Lexie Cettolin be the Council delegates to attend ALGWA’s 53rd Annual State Conference, and grant leave of absence to these delegates as appropriate. Councillor Greg Davies requested a report to Council outlining the possibility of setting up a ‘Blue Hills Wetlands Landcare Group’ as requested by the State Member for Mulgoa, the Hon. Diane Beamer MP, which will involve community volunteers similar to other Landcare groups in the area. Councillor Greg Davies requested that a donation of $1000 from each Ward Voted Works ($3000 total) be made to the Penrith District Netball Association to assist with the hosting of the National Age Netball Championships on 30 April 2006. 756 RESOLVED on the MOTION of Councillor Greg Davies seconded Councillor Kevin Crameri that the matter be brought forward and dealt with as a matter of urgency. 757 RESOLVED on the MOTION of Councillor Greg Davies seconded Councillor Kevin Crameri that a donation of $1000 from each Ward Voted Works ($3000 total) be made to the Penrith District Netball Association to assist with the hosting of the National Age Netball Championships on 30 April 2006. Councillor Greg Davies requested that $850 from South and North Ward Voted Works (total $1700) be donated to Emu Plains Junior AFL to assist with the purchase of a stretcher and goal pads. 758 RESOLVED on the MOTION of Councillor Greg Davies seconded Councillor Ross Fowler that the matter be brought forward and dealt with as a matter of urgency. 759 RESOLVED on the MOTION of Councillor Greg Davies seconded Councillor Ross Fowler that $850 from South and North Ward Voted Works (total $1700) be donated to Emu Plains Junior AFL to assist with the purchase of a stretcher and goal pads. Councillor Greg Davies requested that James Erskine Public School be allowed to use Peppertree Oval for sporting carnivals. 760 RESOLVED on the MOTION of Councillor Greg Davies seconded Councillor Jackie Greenow that the matter be brought forward and dealt with as a matter of urgency. 761 RESOLVED on the MOTION of Councillor Greg Davies seconded Councillor Jackie Greenow that James Erskine Public School be allowed to use Peppertree Oval for sporting carnivals. Councillor David Bradbury requested a memo reply to all Councillors providing an update on the progress of Councils Non-Government Organisation Accommodation Needs Assessment Study. It is also requested that this study be considered by the City Centres Review process. Councillor David Bradbury requested that the Local Traffic Committee investigate the possibility of opening up more parking space in Glossop Street, St Marys, possibly by utilising the wide nature strip area. Councillor David Bradbury requested a report to Council on a development application, which was lodged with Council for the premises located at 222 Great Western Highway, Kingswood. Councillor David Bradbury requested a memo reply to all Councillors on concerns raised about potential hazardous materials located in Mulgoa Landfill. Councillor Pat Sheehy requested that ten (10) high visibility vests be provided to the “Little By Little” Community Group. If funding is required, it is to be provided from North Ward Voted Works. 762 RESOLVED on the MOTION of Councillor Pat Sheehy seconded Councillor Kevin Crameri that the matter be brought forward and dealt with as a matter of urgency. 763 RESOLVED on the MOTION of Councillor Pat Sheehy seconded Councillor Kevin Crameri that ten (10) high visibility vests be provided to the “Little By Little” Community Group. If funding is required, it is to be provided from North Ward Voted Works. Councillor Pat Sheehy requested that a site inspection of Darcy Smith Oval soccer fields take place as soon as possible to investigate the feasibility of fencing the oval. Councillor Ross Fowler requested a report to Council on the provision of affordable housing within the City. In particular, the report is to address what actions Council is taking to ensure affordable housing is being provided within the City and how Council is liaising with developers to ensure that they are meeting their commitments to affordable housing. Councillor Mark Davies requested a memo reply to all Councillors on concerns raised about potential hazardous materials located in Mulgoa Landfill. Councillor Mark Davies requested a memo reply on the progress of graffiti removal at Schoolhouse Road, Regentville. Councillor Mark Davies requested a memo reply on the concerns raised about anti-social behaviour occurring in the Rotunda located in the park on the corner of Oriole Street and Friarbird Crescent, Glenmore Park. Councillor Mark Davies requested a memo reply to all Councillors on the possibility of extending the free parking zones within the CBD from 2 hours to 3 hours to match the free parking available at the Westfield Shopping Centre. Councillor Garry Rumble requested a report to Council on the outcomes from the Tourism Conference held in Penrith on 29 to 31 March 2006. Councillor Rumble also requested that letters of congratulations be forwarded to Paul Page and the City Marketing team; Jane Holdsworth, CEO of the Penrith Valley Economic Development Corporation; and Peter Flowers, Manager of Penrith Whitewater Stadium, for their efforts during the conference. Councillor Kevin Crameri requested that a donation of hall hire be made to Students in Free Enterprise (SIFE) for their fundraising bush dance to be held in Londonderry Hall. The donation is to be made from North Ward Voted Works. 764 RESOLVED on the MOTION of Councillor Kevin Crameri seconded Councillor Pat Sheehy that the matter be brought forward and dealt with as a matter of urgency. 765 RESOLVED on the MOTION of Councillor Kevin Crameri seconded Councillor Pat Sheehy that a donation of hall hire be made to Students in Free Enterprise (SIFE) for their fundraising bush dance to be held in Londonderry Hall. The donation is to be made from North Ward Voted Works. Councillor Kevin Crameri requested a report to Council on drainage issues with the bridge located in Eighth Avenue, Llandilo. Councillor Kevin Crameri gave a report on the Australian Flatwater Canoe / Kayak Championships held in Penrith on 12 March 2006, and advised that the trophies donated by Council were gratefully received and admired by the recipients. Councillor Jackie Greenow requested that Council forward a letter of thanks to Delfin Lend Lease for their community participation efforts, in particular, their joining of the Book Reading Club at St Marys North Public School. Councillor Jackie Greenow requested a memo reply on why the name of the St Marys Magdelene Church in St Marys has changed to St Marys Anglican Church. Councillor Jackie Greenow requested a memo reply to all Councillors on information contained in a press release by the Premier on Monday 3 April 2006, in which it is stated that a weed harvester will be provided for the Hawkesbury Nepean River. The memo is to outline where Penrith fits into the scheme as far as being able to utilise the harvester. Councillor Greg Davies requested a memo reply to all North Ward Councillors on when the issue of the seagull crossing located at the intersection of Andromeda Drive and The Northern Road, Cranebrook will be brought before the Local Traffic Committee. 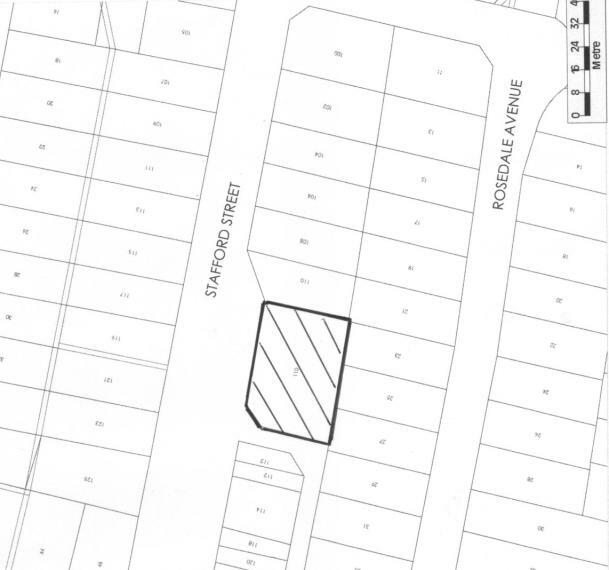 Councillor Greg Davies requested a memo reply to all Councillors on the status of the re-zoning of the land located behind the shops on Melville Road, St Clair. There being no further business the Chairperson declared the meeting closed the time being 8:58PM. Earlier this year, Council was invited by Xicheng District of Beijing, with which we have a mutual co-operation agreement, to send a local team to participate in the world famous Beijing International Relay Marathon in April. This Marathon is recognised by the International Amateur Athletic Federation, and was initiated jointly by China and Japan. Our invitation followed a very successful participation by a team of runners from Penrith City in last year’s event. This year, with the support of Penrith City Council, Penrith sent a team of three runners. We were represented by Phil Mallitt, a member of Panthers Triathlon Club, (and winner of the 2001 World Veteran Athletics Half Marathon), and Luke Taylor and Kieron Thompson who are also active members of Panthers Triathlon Club. Xicheng District also invited its other international relations, so that ours was one of ten overseas teams competing. The four days of their visit included practice, competition, and participation in a number of civic functions associated with the event, both in Xicheng District and Beijing. The relay marathon was held on Sunday 9 April, with the Penrith team winning the contest among all of the competing sister city teams, and finishing 15th out of 256 teams that finished the Amateur Teams category. Overall, Penrith finished 40th out of the 367 teams entered. This was a fantastic result. I met the team members last Monday and I would like to publicly congratulate Phil, Luke and Kieron for their great success in this year’s Beijing International Relay Marathon, and thank them for being such excellent ambassadors for our City. Council has received confirmation from the NSW Minister for the Environment, the Hon Bob Debus, that applications made by Council for funding under the Castlereagh Community Funds Grants Program have been successful. The fund was established by the NSW State Government to deliver projects that benefit the community or environment in the vicinity of the Castlereagh Waste Management Centre in Londonderry. · Building Improvements to Londonderry Neighbourhood Centre and the Londonderry Park amenities building. The multi purpose games court within the Londonderry Public School will comprise a three-quarter-size basketball court and a half size netball court, and will be accessible to the public outside school hours. The court will be a significant benefit to the students of the school and to the general community. The fencing along the northern edge of Londonderry Park will provide increased safety and convenience for players and spectators, and will help in deterring unauthorised entry onto the playing fields by vehicles. It will also greatly improve the park’s appearance. The upgraded building facilities will encourage more community groups to use the Londonderry Neighbourhood Centre and the park amenities building. Both buildings will provide a long-term practical contribution to the needs of the community. The Neighbourhood Centre will be able to provide an increased diversity of activities and provide more educational opportunities and benefits across all age groups, particularly for the local pre-school and Londonderry Public School. The improved amenities building will provide significant benefits to the Londonderry Soccer Club including a new canteen and new change room facilities. I am very grateful to the State Government and the Minister for supporting these very worthwhile community projects, and Council and the Londonderry community look forward to seeing these community facilities becoming a reality over the coming year. That the minutes of the Local Traffic Committee Meeting of 6 March 2006 be confirmed. 2. The design plan for provision of the concrete median and seagull islands with supplementary Stop signs at the intersection of Colless Street and Stafford Street, Penrith be finalised and endorsed for construction. 3. A speed classification survey be carried out in Stafford Street in the vicinity of the shops to determine the extent of vehicles speeding within the vicinity of the shops. 5. The School Principal and School Crossing Supervisor be advised. 11. The organisers shall provide documentary evidence that the event fully complies with the NSW Occupational Health & Safety Act 2000 and the NSW Occupational Health & Safety Regulations 2001. 1. The information contained in the report on St Marys Spring Festival Fun Run/Walk - Sunday, 24 September 2006 be received. 2. The organisers submit a Local Transport Management Plan (LTMP) to Council and Police for approval. 3. The organisers be requested to advertise the proposed Fun Run/Walk at least one week prior to the event. 4. The route of the event, as proposed, be approved. 5. The organisers be requested to contact Westbus regarding the weekend bus services. 6. The organisers obtaining separate Police approval. 7. The organisers following Police directions. 8. The organisers providing marshals where required. 9. The organisers indemnifying Council against all claims for damage or injury which may result from conducting the event. 10. The organisers submitting to Council a copy of the Public Liability Insurance of $10 million. 2. Give Way signposting and holding line be installed in Vincent Avenue at the intersection with Winbourne Road, Mulgoa. a) A copy of the Transport Management Plan be forwarded to the Roads and Traffic Authority for approval. b) Organisers obtaining separate Police Approval. c) Organisers and participants obeying all Police directions. d) All affected property owners and businesses in Greendale Road, Park Road, Silverdale Road and Mulgoa Road (in the immediate vicinity of the proposed road closures), as well as Byron Avenue, Shelley Road, Eagle Street, Driver Avenue, Green Street, Lark Place, Golfview Drive, Peter Pan Avenue, Roma Avenue, Murroobah Road, Denton Place, Davenport Drive, Kadiera Close, Saladillo Grove, Alwyn Avenue, and Water Street, Wallacia being advised of the proposed road closures via a letterbox drop to be carried out by the Wallacia Progress Association at least two weeks prior to the event. e) Organisers indemnifying Council against all claims for damage or injury, which may result from conducting the event. f) A copy of the Public Liability Insurance of $10 million to be forwarded to Council’s Risk Manager. g) All temporary road closures being manned by accredited traffic controllers. 2. Museum Drive, Penrith be approved for 25m B-Double access subject to the completion of a satisfactory field trial complying with all the road rules. 3. The Roads and Traffic Authority be requested to publish a notice in the Government Gazette in accordance with the ‘Route Assessment Guidelines for B-Doubles and Road Trains’ following completion of a satisfactory field trial. 3. That the route be monitored in six months to check for any damage to Council’s assets and whether any subsequent improvements are to be carried out by the property owner to increase the width of the entry and exit driveways. 3. The Roads and Traffic Authority be advised of this matter, and be requested to publish a notice in the Government Gazette indicating approval to use Jack Williams Drive as a 25m B-Double Route following the completion of a satisfactory field trial complying with all the road rules. 2. The design plan for the provision of a roundabout at the intersection of Desborough Road and Marsden Road, St Marys be finalised and endorsed for construction. 1. The information contained in the report on Grays Lane, Cranebrook - Proposed Installation of Speed Humps be received. 2. Council’s Design Co-ordinator be requested to review the proposed traffic calming devices and a further report be submitted to the Committee for consideration. 3. The NSW Fire Brigades be consulted on a new design prior to being submitted to the Local Traffic Committee. 4. The problem of speeding vehicles in Grays Lane, Cranebrook be referred to Police for enforcement purposes. Councillor Sheehy advised the Committee that advice has been received from Sergeant Tony Tunstall on his return to the Penrith area that he has noticed a substantial decreae in the number of heavy vehicle movements along Coreen Avenue, and commended Council’s Rangers on their diligence in enforcing the Load Limit restriction on Coreen Avenue. He also requested the assistance of Penrith Police by carrying out patrols of the road outside normal business hours. If this recommendation is adopted no further action required. Councillor McKeown advised that parking problems are occurring in the Blue Hills and Ched Towns areas of Glenmore Park. Vehicles have been observed parked on the footpath areas surrounding these reserves when sporting events are being held. That the matter be investigated and a report referred to the Local Traffic Committee if warranted. The Westbus representative advised of an issue raised by the Westbus OH&S Committee concerning buses turning in St Marys Interchange off Station Street. He advised that since the introduction of longer, low floor buses, the drivers execute the left-turn into the interchange from the incorrect side of the road. That a site inspection and field trial be undertaken to determine whether traffic control measures are required. Council’s Rangers raised concerns about parking at the southern end of Grays Lane, Cranebrook (where it used to meet Boundary Road and is now a garden). Parents are using this area to park, double park, etc, and there is no traffic control at the end of it. The Rangers are requesting the provision of three No Stopping signs so the area is enforceable. That the matter be investigated and a report be referred to the Local Traffic Committee if warranted. Council’s Rangers raised concerns about reports received from residents regarding heavy vehicles using Belair Road, Penrith, since a Load Limit was implemented nearby Coreen Avenue. Councillor Cettolin raised concerns on behalf of a regular visitor to the Penrith area, regarding the lack of parking in the Penrith CBD. It was requested that the existing “two hours” period parking limit within the CBD carparking areas be changed to “four hours to enable a decent time to allow for shopping, etc – especially for families”. There being no further business the Chairperson declared the meeting closed the time being 11.00am. That the recommendations contained in the Report and Recommendations of the Local Traffic Committee Meeting held on 3 April 2006 be adopted. To seek Council's endorsement for the naming of a park in Stafford Street Penrith. The report recommends that an application be made to the Geographical Names Board for official gazetting. The existing park on the southern side of Stafford Street between Colless Street and Rosedale Avenue, Penrith is currently unnamed. The park is adjacent to No 110 Stafford Street, a property owned by Mr Malcolm Fields. A request has been received from Councillor Aitken on behalf of a local resident to have the park officially named after Mrs Pauline Fields who lived in the home next to the park after her marriage to Malcolm and until her death on 3 July 2003. · Council agrees to the proposed name. After an application for naming is submitted to the GNB, the process involves numerous steps. One of these steps includes the public exhibition of the proposed naming. The entire process takes approximately 6 to 8 months. The following information on the life of Pauline Fields has been provided by her family and friends. “Pauline lived in Derby Street until her marriage to Mal. It was with great expectations they set up their home next to the park in Stafford Street. Pauline and Mal could well have developed a victim’s mentality. Who really wants to live next to a busy park with noisy children looking for any excuse for a fight, youngsters continually showing off their graffiti art and hoodlums tearing up the trees and shrubs and leaving a legacy of litter? Instead of looking for a more peaceful location, Pauline took up the challenge to make her area a better place to live. Pauline made the park her parish. When children sustained an injury, Pauline was there to attend to their cuts and bruises. After a while she knew which was a cry for help and what was a cry for attention. When tribal warfare broke out in the park, it was Pauline who sorted out the problems. Mischief makers were soon identified and Pauline cared for the safety of children by keeping away the bad element. She became a friend of the friendless. She also kept the park tidy, removing graffiti with her own paint and replanting trees at her own cost. In the wider community, she was a regular helper for Meals on Wheels and a founding member of the Penrith Softball Club, where she coached, scored, managed and played. It is impossible to know how many lives have been enriched, how much love she has given and how many men, women and children have benefited from her selfless life, especially in time of sorrow and need. Based on the information from the proponent, Mr Fields, it is apparent that Pauline Fields made a significant contribution to the local community. It is therefore appropriate to make submission to the GNB for the naming of this small park “Pauline Fields Park”. 2. Council endorse the naming of the park “Pauline Fields Park” and application be made to the Geographical Names Board for official gazetting. To make a recommendation regarding a request for Community Assistance Program funding. The report recommends that Council approve an allocation of $645.00 to Barnardos to assist with 2006 Annual Open Day activities. Through the Community Assistance Program, Council makes small grants to non-profit organisations and community-based groups to help meet local community needs. The maximum grant is $1,000. · Projects and project management in line with Council’s Access and Equity Policy. Fundraising programs or organisations whose main job is to fundraise are not eligible. There are two components to the Community Assistance Program; the planned component and the rolling component. The planned component of the program is undertaken once a year in October/November. Recognising that not all needs for funding can be foreseen, the rolling component allows for one-off requests to be brought before Council at any time during the year. This provides a flexible supplement to the planned component of the program. The total budget for the 2005-06 combined rolling and planned components of the Community Assistance Program is $25,964. An allocation of $19,060 was made to the planned component in 2005-06 and a total of $6,904 is available for the rolling component. $5,047.00 has so far been allocated to six projects from the rolling component budget for 2005/06. There is $1,857.00 still available for allocation under the rolling component until the end of June 2006. Barnardos have requested provision of funds ($645.00) to assist with the organisation of an Open Day as a way to reach out to the local community and encourage them to visit the centre to find out about programs and activities offered by the charity. The Barnardos Penrith Centre at Cranebrook provides a range of services to young people and others in the community to improve quality of life for people in need. The funds would be used to secure a children’s animal petting farm and a jumping castle for the day. It is proposed that Council provide a small grant of $645.00 under the Community Assistance Program to Barnardos to assist with Open Day activities on Saturday 27 May 2006. To seek Council's support to make application to the Department of Tourism, Sport and Recreation, for the 2006/2007 Capital Assistance Program. The report recommends that applications for three projects be submitted for the Department's consideration for grant funding. The Capital Assistance Program provides financial assistance to Councils and local communities annually throughout NSW. Grants are made available for projects that improve sporting facilities such as field lighting, fencing, irrigation and buildings. Clubs, community groups and Councils nominating projects must be able to contribute at least half the cost (dollar for dollar) of the project. Over the last several months, every sporting club in the Penrith Local Government Area was invited to nominate projects and indicate if they could contribute funds. Several clubs responded however, only two have indicated they have the capacity to contribute funds into the projects. The deadline for this year’s submissions is 31 May. All applications must have the necessary plans and approvals such as Development Applications well advanced. There must also be a commitment from the club or group to meet half the costs of the project. · Field lighting for the Junior field – training standard lighting for the Junior field. At present all training is undertaken on the Senior fields, which accelerates the wear and tear on the field surface. · Storage/Shade building – construction of building structure that would comprise a storage room and open verandah area. This building will be similar to the structure recently constructed in Jamison Park for the Penrith Soccer Club. The structure will be located near the Junior field. Total project cost is $135,000. If the grant application is unsuccessful the projects will have to be staged over two years. That is, the installation of lighting on the Junior field in 2006/2007 and perhaps the construction of the building structure in 2007/2008. The Rugby League teams that currently use the Hickey’s Lane fields require training fields and it is proposed a full sized field be prepared within the cricket oval immediately east of the netball complex. · Age group development squads 5 teams. These teams train and play October through to May. The relocation of these teams from Hickey’s Lane will allow St Dominics or Brothers Junior Rugby League Club to move into the Hickey’s Lane facility making it their new home ground. It is proposed to provide one flood lit field on the western side of the cricket oval at Jamison Park. A vehicle barrier will be needed to deter cars accessing the field that causes considerable damage to the cricket pitch and grass surface. Discussions have been held with the Penrith Junior Rugby League and Nepean District Cricket Association regarding contributions to this project. It is intended that Council submit an application to the Department of Tourism, Sport and Recreation for a Capital Assistance Grant to the value of $20,000. If the grant is successful the funds will be used to source an underground water supply. Preliminary information indicates that quality underground water is accessible in the Londonderry area from reasonable depths. The three projects nominated for Capital Assistance Grants have already been listed for funding in the draft Parks Improvement Program. If successful, the grants will ‘value add’ to these projects. The Greygums and Jamison Park projects are also benefiting by additional contributions from their respective users the AFL and Junior Rugby League. To advise Council of the outcomes of the tender process and to recommend a preferred contractor for the Extensions and Alterations to Erskine Park Children's Centre, Erskine Park. The report recommends that the tender of Caliber Contracting be accepted. The Section 94 Development Contributions Plan Review-Glenmore Park, North Cranebrook and Erskine Park Residential Release Areas Report to Council on the 27th October 2003, outlines considerations in satisfying future childcare needs in the Erskine Park area. With an upgrade to the facility, Erskine Park Children’s Centre would be able to accommodate the identified future demands for before school and after school care. The purpose of the upgrade for Erskine Park Children’s Centre was to enable the facility to comply with the National Standards for Outside School Hours Care in relation to indoor play space. Extensions and alterations would allow the centre to accommodate 45 children aged 5-12 years before school and after school. Council resolved to proceed with extensions and alterations to Erskine Park Children’s Centre, rather than constructing an additional child care centre in Erskine Park. Section 94 funds were committed in 2004/05 to fund the Erskine Park Children’s Centre project. WHP Architects were appointed to design the upgrade and submit documentation for DA/CC approval. Following the acceptance of plans, an advertisement was placed for tenders for the extensions and alterations to the facility. Caliber Contracting has submitted the lowest tender of $586,905.04. This company has recently completed alterations and additions to the Grays Lane Child Care Centre. The project was completed successfully on time and budget. Calibre Contracting has been in operation for ten (10) years and have undertaken work for other Councils and Government Agencies. Projects completed include new amenities and alterations and additions to various facilities. $597,272.73. It too has completed similar work at other Councils and would also be capable of undertaking and completing the project. Of the remaining tenders, Cranebrook Constructions failed to address key areas of the tender and could not be assessed. The remaining two (2) tenders have all met tender requirements and demonstrated their capability of performing the work but their tendered prices are significantly higher and were not considered further. The total cost of the project is $673,000. In December 2003 the Section 94 plan for Erskine Park Residential Release Area was amended which included the revised cost of the extensions of $542,000. Applying CPI indexing to this amount would revise the extensions to $584,200 leaving an under estimation of $88,800. The projected closing balance of the Erskine Park Residential Area Section 94 plan reserve indicates sufficient surplus funds have been generated to cover the increased cost of the project. To advise Council of the outcome of the tender process for the proposed Glenmore Park Child and Family Precinct located at The Parkway and Blue Hills Drive, Glenmore Park. The report recommends that Jackson Teece be appointed to prepare the master plan, design and documentation for the Glenmore Park Child and Family Precinct. A further report will be submitted to Council prior to tender for construction. A report presented to Council at its meeting of 10 October 2005 described an integrated approach to facility provision and service delivery for the Glenmore Park Child and Family Precinct. This approach recognises the significant role the public domain and adventure playground will play in drawing the community together and creating opportunities that foster and contribute to neighbourhood identity. At the above meeting Council accepted the new innovative model in principle and the recommendation to tender for architectural services. The project amount for the 06/07 year is $2,807,600 which will encompass completion of design in 2006 and the proposed commencement of construction in early 2007. Council requested a further report providing consideration of preferred design and quantity surveyor’s costing before proceeding to tender for construction. The above figures are plan amounts as at November 2002. Applying CPI indexing to these, to provide amount as at today, yields a budget amount of $3,391,484. Additional to the above S94 budget, the Property Development Reserve has an allocation of $350,000 for the Coffee Shop/Store space in the building (plus a share of the carpark and landscape). This gives a total budget of $3,741,484. The above construction estimates will be refined as the project advances through the more detailed design phase of the project. The Glenmore Park S94 plan currently holds sufficient funds to finance the scope of the works proposed in this report. The CPI has averaged approximately 2.6% per annum since November 2002. Interest earned on the unspent money in the plan over the same period has been between 4.5 and 5.5% per annum. Provision has been made in the budget for the Property Development Reserve for its contribution to this project. In January 2006 Council called tenders for architectural services and secondary consultants. Tenders closed on 7th February 2006. 25 tenders were received and out of these 21 complied with the tender requirements. The remaining 4 tenders did not include a full list of secondary consultants and were therefore not included in the assessment process. Tenders were evaluated by a Tender Panel comprising Viggo Knackstredt, Council’s Architectural Supervisor, Winifred Sadlier, Children’s Services Development Officer, Judy Cobb, Community Programmes Co-ordinator and Graham Howe, Building Projects Co-ordinator. The tender assessment criteria were determined in relation to the requirements of the brief. The brief required the service of a multi-disciplinary team with an integrated approach to the project and a superior understanding and approach to the integration of the various building elements and functional areas with the outdoor environment including the public domain and adventure play ground. - Past experience in coordination and collaboration with a public art coordinator and artist(s) in the inception & integration of site-specific works of art within the overall building design and landscape, or a demonstrated interest in this field. Note: Fees listed above were based on $4.0m project cost unless otherwise noted. Out of the 21 consultant teams 8 scored 19-20 out of 20 in the assessment against the essential criteria. Out of these, 3 were short-listed for interviews due to their high score combined with relatively lower fees. All three consultant teams that were short listed demonstrated a capacity to undertake the project and have track records showing their experience with related projects. Jackson Teece has demonstrated superior understanding of the brief and has included a diverse group of consultants, including a playground design expert, Rick McConaghy, who has considerable experience in playground designs and has successfully completed three playgrounds for Penrith Council. Likewise the landscape architect, Phillips Maler is well recognized, having won several awards for their work. They are particularly recognized for their ecological sustainable landscapes and have also particular experience in integrating artworks by public artist into landscape projects for local government. Jackson Teece has a long history of delivering high quality work and value for money. Their designs adhere strongly to ESD Principles and the company has won a number of awards for environmental design including the inaugural National Environment Award of the Royal Institute of Architects and others. Suters Architects demonstrated a reasonable understanding of the brief and has good technical experience in building design, particularly in the area of sustainable design. Suters Architects is a well established firm with a long track record of excellence in design which has been demonstrated in a range of awards won by the firm. Suters Architects has successfully completed the Joan Sutherland Performing Art Centre for Penrith Council and has recently won the commission for the redesign of Judges Park Carparking Station. However one of the drawbacks of this design team on this particular project is the limited experience in playground design. However, a moderate fee has been set aside for a playground design sub-consultant. Suters Architects also has limited experience in integrating artworks by public artist into the design of projects. Baker Kavangh is a relatively young company, but in the 11 years it has practiced it has undertaken a number of project, including childcare centres, leisure precincts, libraries for local government as well as commercial projects in Australia and abroad. Baker Kavanagh demonstrated a good understanding of the brief and has associated itself with a multi-disciplinary firm, Habitation, for this particular project. Habitation is highly experienced in urban design, landscape design, and environmental analysis. Among their projects are Erskine Park Employment Area Public Domain Plan and McArthur Centre for Sustainable Living. The consultant team has also good experience in integrating artworks by public artist into the design of projects. The team is strongly focused on environmental design and choice of eco friendly materials. While the consultant team has strong credentials in environmental and landscape design it did not demonstrate substantial experience with the design of playgrounds and in particular adventure playground design. Baker Kavanagh highlighted the importance of community participation and public consultation as part of the design process, but their submission did not include a costing for this service. This approach would therefore place an unreasonable high demand on Council’s resources and the Assessment Team did not consider it possible for Council to facilitate the level of public participation that the consultant team thought necessary for the project. In addition to the scoring of the essential criteria an assessment was also undertaken of the short-listed consultant’s fee structures, which is listed below. Jackson Teece submitted a higher fee proposal then the two other consultant teams. This is due partly to the inclusion of a playground design architect on the team. The services of this consultant would be very beneficial to ensuring that the design of the adventure playground and the public domain meet Council’s objectives for the precinct. It should be noted that Jackson Teece’s fee fell into the mid range between the highest fees and lowest fees of the 21 submissions that were assessed, as did Baker Kavanagh’s fee. Based on the analysis of the essential and desirable criteria and on the fee structures it is recommended that Jackson Teece be appointed as the preferred tenderer. This consultant’s team demonstrated an excellent understanding of the brief and of Council’s objectives for the precinct. The team members demonstrated superior skills in the design of adventure playgrounds, public domains as well as building designs. They have a long history of delivering high quality work and value for money. They also have a strong commitment to ESD Principles and have won a number of awards for environmental design. Council received 25 tenders for the master-planning, design and documentation of Glenmore Park Child and Family Precinct and three project teams lead by a primary consultant architect were short-listed for interviews. All of the three consultant teams demonstrated a capacity to undertake the project of this and have track records showing their experience with related projects. One of the three consultant teams, Jackson Teece had a superior understanding of the brief noting the importance of the design of the public domain and the adventure playground in particular, which was not matched by the other two tenderers. Whilst, Jackson Teece’s fees are higher than the other two short-listed teams’ fees, their fees fall in the mid range between the highest fees and the lowest fees of all of the submissions. 3. A further report be submitted for Council’s consideration with a preferred design and a quantity surveyor’s report on costings before proceeding to tenders for construction. To inform Council on the financial status of St Marys Occasional Child Care (SMOCC) at the end of 2004/05 financial year. The report recommends that a financial contribution of $51,733.00 is provided to support the operations of St Marys Occasional Child Care as part of the 2006/07 management plan process. SMOCC is an internally managed children’s service catering for children aged 0-5 years that provides a pay-as-you-use service to the local community. SMOCC is highly valued in the community by families seeking respite care and/or those unable to afford regular care. Families are required to book a place each time they use the service in accordance with the Federal funding agreement. Eligible families are able to claim Child Care Benefit and the service receives operational funding based on a formula calculation from the Federal Government. The nature of the service makes it an expensive model for delivering a child care service. To continue operating in 2005/06 Council resolved to contribute $46,579 to support the operation of SMOCC. Historically actual operating costs have exceeded projected costs. The following table shows deficits incurred by SMOCC from June 2003 – June 2005. The above deficits show the full cost of operating SMOCC. The increase in the deficit for the 2003 to 2004 financial year is attributed to lower then predicted utilisation and increased employee costs related to staff turnover. · Staff addressing the Young Parents Group and the Southern Sudanese Group on child rearing matters. In April 2005 a report to Council flagged the imminent change to the Federal Government’s funding arrangements to occasional care services to a formula based on the number of hours used. These changes came about as a result of the Federal Government’s Child Care Broadband Redevelopment and the new Child Care Support Program. The changes replaced the existing operational funding that was based on capacity multiplied by an hourly rate and the number of weeks of operation. At the time of the above changes Council took advantage of the free services of Ernst and Young to provide financial advice. Ernst and Young provided limited advice that would reduce the centre’s current deficits. A key piece of advice recommended that Council make a commitment to provide ongoing financial contribution to the operation of SMOCC. Whilst the advice to reduce the deficit focussed on increasing utilisation, and, reducing staff when utilisation was low, financial benefits were unquantified. Consideration has been given to the above advice and SMOCC will continue to market the service to improve utilisation. However the nature of occasional care makes it difficult to fill to capacity throughout all operating hours. It is known that satisfied customers and word of mouth are the most efficient marketing tools. This will be encouraged and a full range of promotions will continue. The advice included a theoretical opportunity to minimally reduce staffing costs that could only be achieved by casualising employment of staff. This is not considered suitable in terms of providing consistent staff:child relationships for children and for supporting quality customer service. In addition shortages of trained staff currently exist and it is most unlikely that staff could be attracted to work on an ongoing casualised basis. Staffing costs are however being minimised by careful management of staff leave. In April 2005 Council resolved that the local member be requested to support Council’s representations to the Federal Government to provide adequate funding support to SMOCC. Consequently a submission was forwarded to the Minister for Family and Community with a copy of the submission and the above request to the local member. Correspondence from the local member stated that she was unable to support Council’s submission to the Minister for Family and Community Services but that she would be willing to work with Council to develop a pilot project for alternative types of child care programs required in our area to support families who are relatively disadvantaged. This support will be sought in the development of the Penrith Valley Cultural Precinct redevelopment of Children’s Services as discussed below. The following table shows centre capacity and utilisation from 2001/02 to 2004/05. Utilisation in the 2006/07 budget is set at an average of 140 hours per day as compared to144.5 hours in the 2005/06 budget and 143.99 hours in the 2004/05 budget, 140 hours is considered to be more realistic. Staffing has been adjusted to match the utilisation of 140 hours. A decrease in funding from the Federal Government from 2005/06 is expected to be in the vicinity ($4,700) from $32,700 in 2005/06 to $28,000 in 2006/07. The fee structure for the 2006/07 provides for hourly and sessional use. The fee range is shown below and compared to the real cost of providing the service. As indicated earlier in this report Council has continually underwritten the performance of the SMOCC service. For the past three completed financial years that support has totalled $201,683. Council has provided support of $46,579 in the 2005/06 financial year. The request for support in 2006/07 through this report is for $51,733. Following the Federal Government’s revision to its funding model SMOCC expects to receive $4,700 less than in 2005/06. Without this loss of Federal funding Council’s support level would be the same as provided in the 2005/06 budget. The draft presented to Council’s workshop on 10 April 2006 included an allowance for the $51,733 requested by this report. · A search of legal documents resulting in requests to Federal and State Government Departments to re-negotiate twenty-one year contracts that are still in place. · Negotiations regarding the sale of the land where St Marys Occasional Care and Koala Corner Children’s Centre are situated. The sale of this land will contribute to the budget to develop the child and family centre. SMOCC requires high financial support due to the nature of the service. Parents pay only for the time that is used. There was reduction in Federal funding in 2005/06. The request for financial support in 2006/07 through this report is for $51,733. Plans are progressing to include SMOCC as part of a child and family multipurpose centre within the Penrith Valley Cultural Precinct. The sale of this land where St Marys Occasional Care and Koala Corner Children’s Centre are situated will contribute to the budget to develop the child and family centre. To provide Council with information on the proposed budget for Children's Services as recommended by the Board of the Penrith City Children's Services Co-operative (PCCSC). This report outlines the strategic direction of the Co-operative towards long-term financial viability, and includes a recommendation that Council supports a community obligation contribution of $63,247 towards the operations of children's services managed by PCCSC in recognition of the contribution made by these services towards building social capital in the City of Penrith. This report relates to children’s services managed by PCCSC – Long Day Care, Pre-School, Before and After School Care and Vacation Care services. Financial management is identified as a key issue in the Co-operative’s 2003-2008 Strategic Plan with a long-term goal that a sound financial base underpins the provision of Children’s Services. At its meeting of March 2006, the PCCSC reviewed reports on budget development for the services it manages. The Board has recommended fees and charges for these direct service operations, which are presented in the draft Management Plan. A global approach to children’s services budgeting enables surplus and deficit budgets to be developed for individual services, with the overall intention of achieving a global break-even budget. However, a number of known and less predictable factors have impacted on the ability to achieve a break-even budget for the 2006/2007 budget period. The budget model recommended for adoption produces an operational deficit of $63,247. In addition, there is a long-standing resolution of Council to contribute $1,000 per vacation care service annually. 1. The financial status of Pre School services across the City. This is due to the higher cost of providing this type of care. Child Care Benefit is not accessible to families for this service type and there has been some uncertainty about ongoing external funding. 2. There has been substantial increased competition for Out Of School Hours care in some areas across the city affecting utilisation rates and therefore income. 3. Child to staff ratios set by legislation determine staffing costs (equate to 85% of the overall service expenditure). This leaves 15% for all other expenditure associated with running child care services. Total salaries increase each year in line with Award provisions and Council agreements. 4. Rigorous compliance regulations set down by legislation for children’s services also impact on achieving a break-even budget. 5. The ongoing commitment to meeting Council’s objective of equity of access and investing in Penrith’s social capital (as detailed below). 6. The recognition of the need to support families that are socially and economically disadvantaged. In recommending the proposed fees and charges, the Board is seeking flexibility and discretion to apply fees according to prevailing circumstances that will allow some adjustment throughout the year to respond to market conditions. There are a range of other miscellaneous fees and charges that apply to the operation of children’s services, which are specified in the draft Management Plan for 2006/2007. Demand for centre-based care for children aged 0-2 years of age is consistently high. The cost of providing care for this age group is considerably more than that of providing places for 3-5 year olds. This is due to the higher staff:child ratios required and the additional capital costs of providing cot rooms, nappy change areas and laundry facilities. The Board has made a decision not to implement a differential fee (except for Tamara LDC centre in Cranebrook which has historically operated in this manner). Levels of subsidy by Commonwealth and State Governments impact on the cost to parents for children’s services. The gap between the fee subsidy and the full fee is an important consideration in relation to affordability and price sensitivity. The gap fee that is paid by parents is increasing and disadvantaging some families across the LGA. Lobbying continues with both levels of Government for increases in fee assistance to levels that reflect increasing costs of providing children’s services. Penrith City Council and PCCSC are committed to the provision of quality care and education for young children. Ensuring that fees are set at an affordable level is one way in which we can promote social justice and provide equitable opportunities to families and the community by assisting all families to have access to a children’s service of their choice. Long term studies highlighting outcomes for children through an investment in quality early childhood care and education have shown that, in a Local Government Area such as the City of Penrith, benefits could include a better educated community that is more likely to be employed and earn higher incomes, have stable families, own their home and be less likely to be involved in crime and aggressive behaviour. These factors all contribute towards the building of social capital and would assist Penrith City Council in its goal to promote and support children to enable them to contribute to the economic and social well-being of the community. The Federal Government and Penrith City Council jointly fund Council’s traineeship programme. Spanning a 12-month period, trainees combine study with work experience. After completing their traineeship with Council, trainees are free to follow pathways of employment into the workforce. It is pleasing to report that Council’s traineeship programme provides members of the community with a good work experience foundation and reflects Council’s support of lifelong learning opportunities in the City. Childcare trainees use the programme as a springboard into the industry with some going on to further TAFE and tertiary study. Trainees have been factored into the budget for all LDC services for the 06/07 budget period. Children’s Services is contributing to Council’s community and social obligation through the ongoing support of the traineeship programme that builds skills and experience within the community, providing a future workforce for all children’s services providers. The services now managed by PCCSC have found it difficult to maintain a quality service at an affordable price and still bring in a balanced budget. Whilst each centre has attempted to achieve a break-even or surplus budget, this has not been possible for many of the individual services nor as an overall objective for the combined services for the 2006/2007 budget period. Council’s centres operate in a vastly different environment than many other similar centres. For example, operating hours are longer in LDC centres to service the needs of residents who work out of the area. Council’s centres provide significantly more places for 0-2 year olds than other providers. Some operators, other than Council, are reluctant to provide these places due to the expensive nature of the higher child:staff ratios and other capital requirements. Council’s centres also provide significant training opportunities, for example through traineeships, for people wanting to break into the children’s services industry. Each of these anomalies occur because Council has made the decision that it wants to provide these services as part of its obligation to provide community services. These obligations do not come without cost. Council needs to consider funding these community service obligations in conjunction with its normal Management Plan process, assessing these costs against all the other projects competing for Council funding. Children’s services operates in a complex financial and legislative environment. Underpinning principles guiding budget decisions include maintaining fees at affordable levels and ensuring equity of access for all children. This needs to be balanced with the broader objective of financial viability. To report to Council an application seeking approval to vary a restrictive covenant imposed on the original subdivision of land. The report recommends that this restriction not be varied. A restriction on the use of the land, under Section 88B of the Conveyancing Act 1919, among other covenants, was imposed on Lot 41 DP 270417 (No. 13) Portrush Crescent, Luddenham on 17 November 2004. These restrictions are placed over properties in order to assist in controlling the way development is carried out on the newly created allotments. Covenants generally relate to matters such as building height, setbacks and external finishes. They are imposed to maintain a certain level of amenity and quality of development within the development. 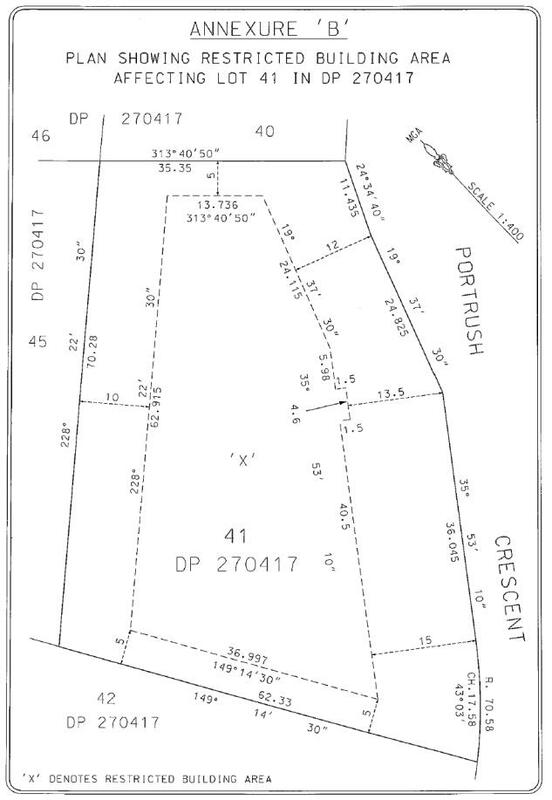 The 88B Instrument which is the subject of this report relates to the newly developed “Twin Creeks” Estate formerly known as the Luddenham Equestrian Estate. 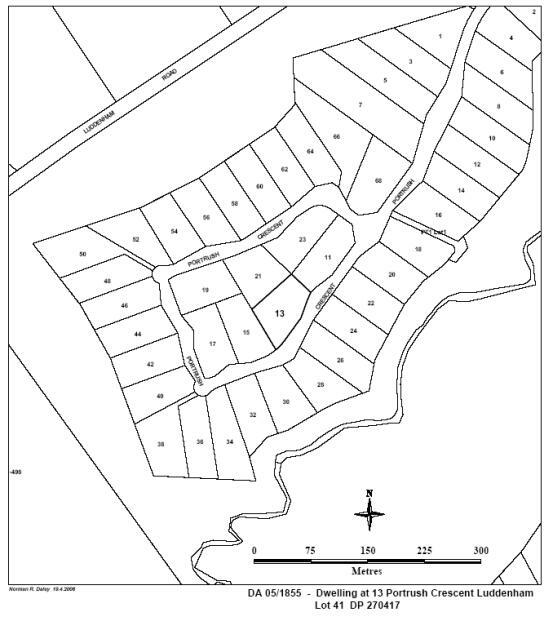 The subject site is located in Stage 1 of this Estate Release (see attached locality map). 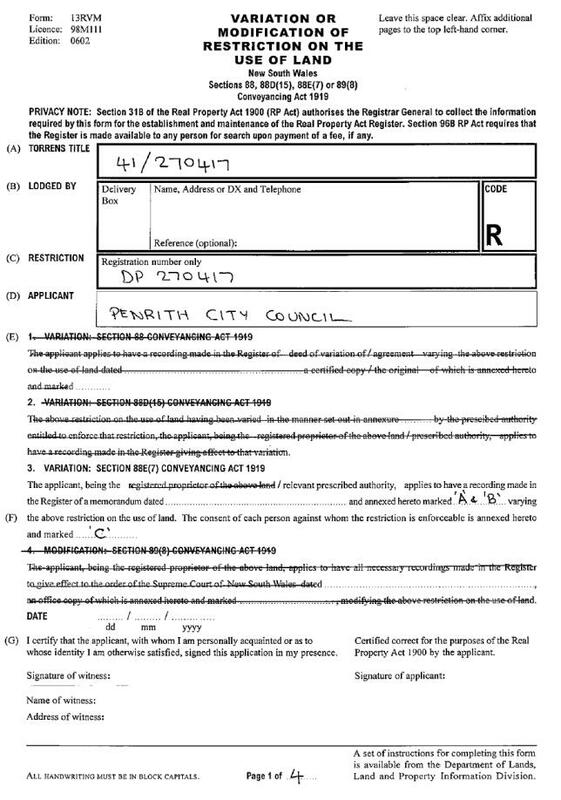 Penrith City Council is nominated as the authority whose consent is required to release, vary or modify the terms of the restriction. In this instance, the restriction on use was applied to the subdivision to reinforce the need to comply with the relevant planning requirements for the site. Residential Logistics Pty Ltd has lodged a Development Application for the construction of a dwelling on the subject site. The dwelling, as proposed in the application, does not meet the setback requirements specified in the Luddenham Equestrian Estate Development Control Plan and Luddenham Equestrian Estate Building, Siting Design Code. As such, an application by the owner of the property has been made requesting that the restriction be modified to allow a variation to the provisions of the DCP and Building Siting and Design Code. The request, specifically, is to permit a variation of the provisions of Section 2.2 of the Luddenham Equestrian Estate Development Control Plan 2001 and Section 2.2 of the Twin Creeks Building Siting and Design Code. The requirements of these planning controls and the setbacks proposed are outlined in the following table. 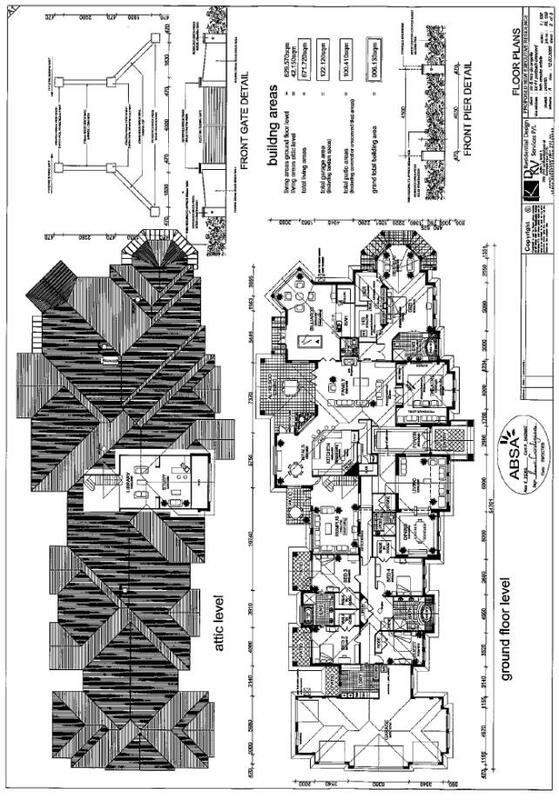 See attached site and floor plans for further details. The proposed dwelling has a frontage to Portrush Crescent of 54 metres of which 32 metres is in compliance with the setback requirement. The variation to the 15m front setback occurs along the front facade of the dwelling. The variation includes the front entry point and approximately 95m² of the northeastern portion and the dwelling. The subject site is irregular in shape, being comparatively narrow in depth with a long road frontage. The variations to depth of the block along its frontage is due to an increase in the width of part of the nature strip to retain comprehensive landscaping. The orientation and setback constraints of this site favour a design with major building elevations to the street frontage and rear of the property. The proposed dwelling incorporates major elevations to the front and the rear of the property. In recognition of their prominence the elevations are highly articulated and detailed. While the proposal is a large dwelling of 906m², it is single storey and is typical of other dwellings in this subdivision. The intent of the setback requirements is to maintain space around the buildings that are found in rural settings. This space allows expanded views and enhanced landscaping of properties. These setbacks were determined in conjunction with the original developers of this estate. They provide adequate building platforms to accommodate dwellings constructed within the subdivision. There does not appear to be any reason why compliance with this setback requirement could not be achieved apart from the size, scale and linear design of the dwelling. The development application for the dwelling includes a proposal to construct a swimming pool. The pool is located at its closest point, 5m from the rear boundary of the property and therefore has a significant encroachment on the required 10m setback. The intent of the 10m-rear setback is to provide for a suitable separation between buildings. This separation preserves amenity of the rural setting in regards to noise and privacy. It also allows opportunities to create a landscape buffer between buildings and private spaces located on different properties. The applicant has indicated that the pool will be located up to 700mm below the natural ground level of the building site. The design attempts to reduce the visual intrusion to neighbouring properties. The area between the rear boundaries and the excavation for the pool will be comprehensively planted to enhance the visual screen. The effectiveness of this screen is dependent on the maintenance of the landscaping. Unfortunately the level of maintenance and therefore the effectiveness of the screen cannot be guaranteed. While the pool will be located below the natural ground level, the potential for intrusion from its use will be better controlled by the required setback than by potentially inadequately maintained landscaping. 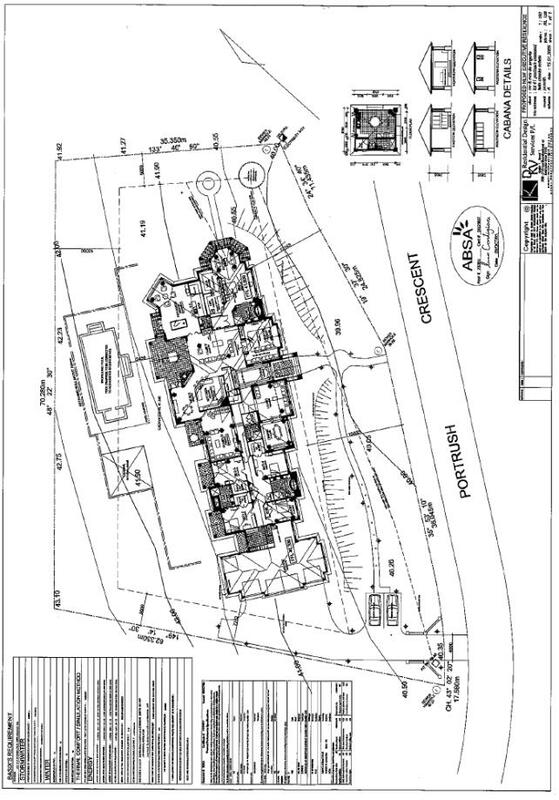 An assessment of the application to vary the terms of restriction on use of the land referred to in the Section 88B Instrument attached to Lot 41 DP 270417 has revealed that the setback encroachments may have impacts on the use and enjoyment of other properties in this locality as it reduces the separation between buildings in the subdivision and reduces the setback to the street. While it can be argued that these impacts are not significant, the incorporation of the requirements of the Development Control Plan and Building Siting and Design Code into the covenants that restrict the use of properties demonstrates that the normal flexibility to vary these codes would not apply in this estate. Variation of the covenant requires endorsement by Council on a case-by-case basis, after detailed consideration of all the relevant factors. The approach adopted in this subdivision demonstrates the original intention to significantly limit even minor variations to the requirements of the planning policies. This was probably based on the belief that generous allowances were embodied in the design requirements so that future owners had a wide range of options to provide for their needs with innovative and flexible development proposals. To allow further variations would therefore be unreasonable. Granting approval to vary the restriction to use is likely to set a precedent in the Twin Creeks Estate. The same considerations which apply to this property site may apply in the same way to any of the other properties in the Estate. It is therefore recommended that the requested variations to the restriction to the use of the property to allow the building setbacks proposed on Lot 41 be refused. c) The proposed variation is not in the public interest. To provide Council with the background and assessment of the application to enable it to be determined. The report recommends that the application be refused. · The use of existing dwelling for a priest and congregation were proposed. · Occasional special events such as weddings, funerals and Christmas mass etc approximately 7 times a year. The application was amended several times involving a change in hours of operation, expected attendances, location of parking areas and the number of parking spaces.